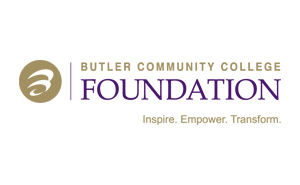 Butler Community College and The Opportunity Project (TOP)’s will serve more people in need because of a $10,000 grant for student scholarships from the Bank of America Foundation. Started and championed by Barry and Paula Downing, TOP delivers high-quality early learning experiences to children living in poverty. Last year, Butler partnered with TOP to provide scholarships for the organization’s employees and parents of students who attend TOP. These scholarships enable the students to attend Butler and better their lives through higher education. The grant also supports the Bank of America Foundation’s priority of economic mobility focused on the needs of individuals and families by investing in workforce development and education and basic needs. This is the fourth consecutive year the Butler Foundation has received a Bank of America Foundation grant that will serve student populations with great need.